Summer 2011 again brings the Sounds Like Summer Concert Series to Epcot at the Walt Disney World Resort. 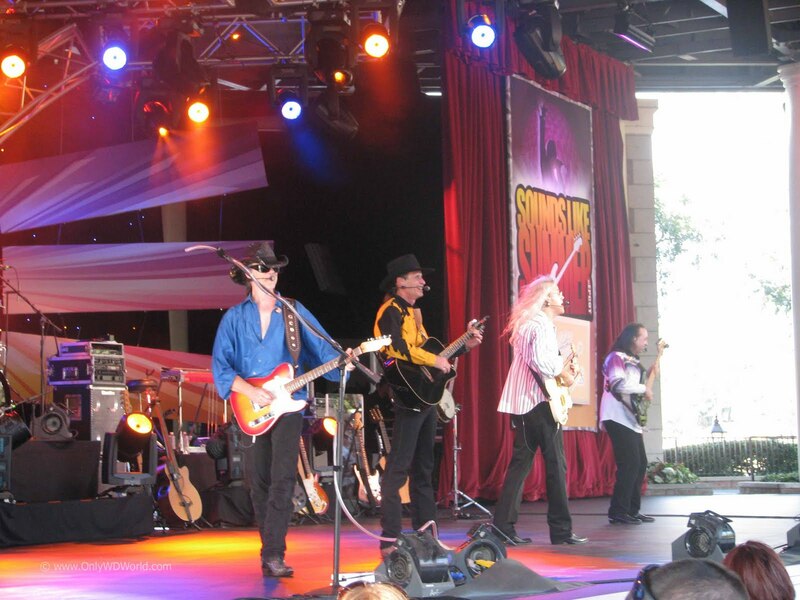 Throughout the Summer, accomplished tribute bands play 3 sets nightly at the America Gardens Theatre. 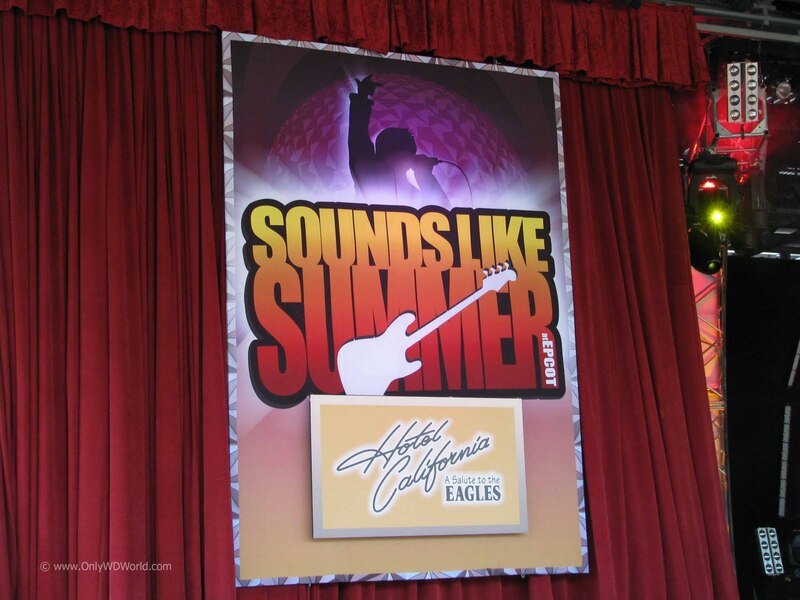 Hotel California - "A Salute To The Eagles" are one of the fine bands that is performing this year. Hotel California is made up of 5 members: Dicky, Wade, Scott, Steve, and Ken. Each has enjoyed a successful musical career before becoming part of Hotel California. The band plays 150 - 200 performances each year. The band has attempted to fill the void formed when the original Eagles disbanded the first time in 1982. They play The Eagles classics like: "Take It Easy", "Heartache Tonight", "Hotel California", and "Witchy Woman." They also include songs from the solo careers from Don Henley, Glen Frey, and Joe Walsh. Hotel California puts on a great show that really sounds like The Eagles. If you are a fan of The Eagles, you will enjoy their show. It was a great trip back to the 70's and 80's to hear these great songs performed live. 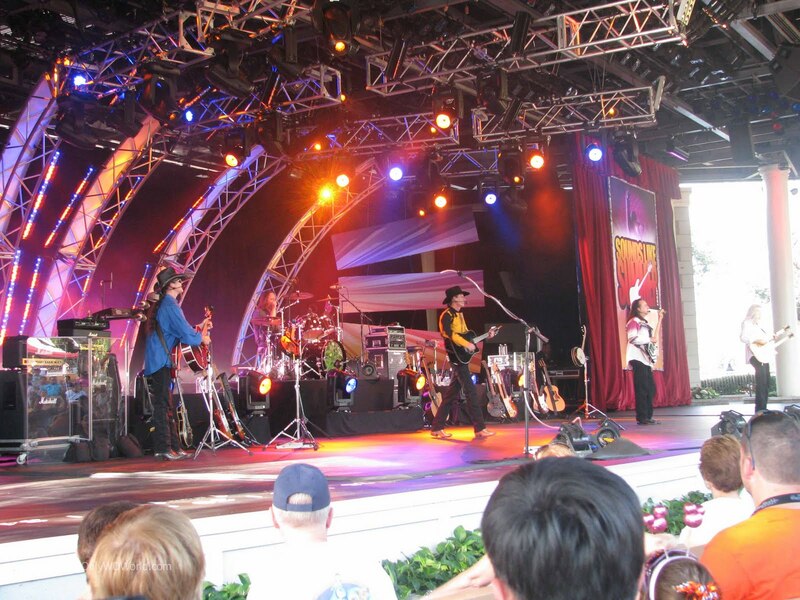 This special concert series is FREE with your paid admission to Epcot each evening from June 12 - July 30, 2011. Each of these bands is amongst the best you will find. These are not your neighborhood "cover bands." If you enjoy the music from the band or singer that they are emulating then you most likely will enjoy these shows. 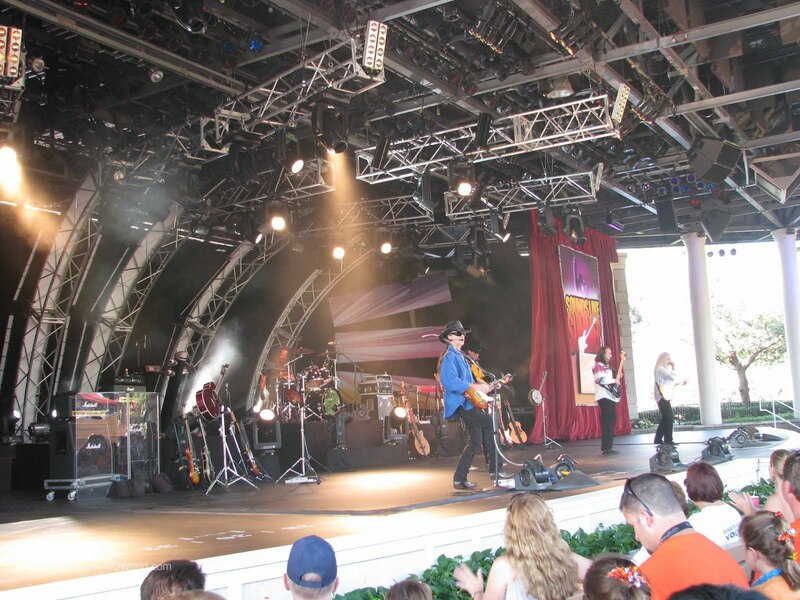 The America Gardens Theatre is a relatively small venue that is a great place to watch live music on a Summer Evening. 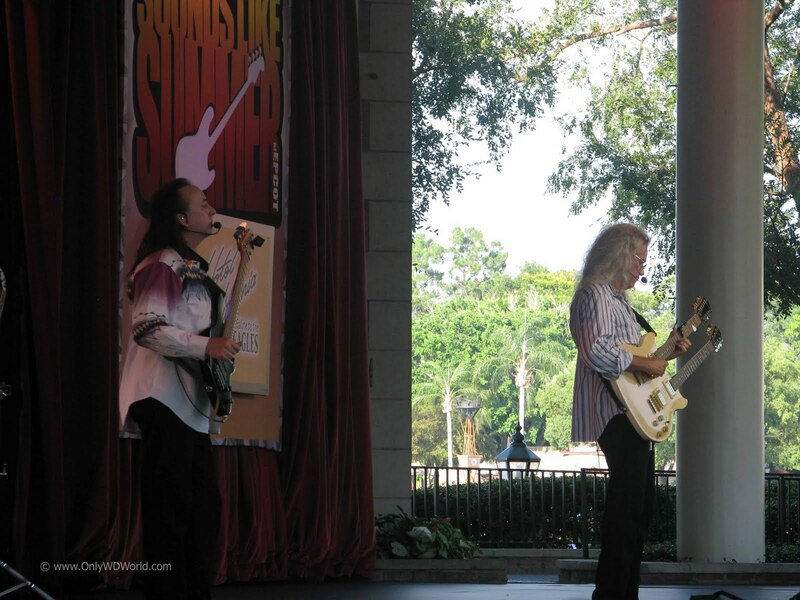 0 comments to "Epcot Sounds Like Summer Concert Series - Hotel California"